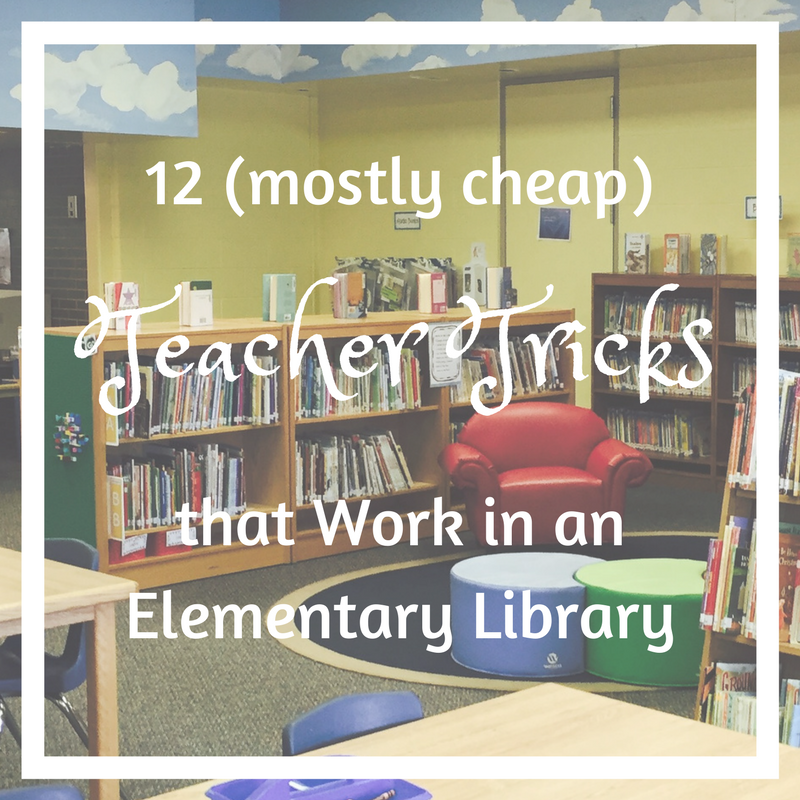 Learning practical teaching tips and tricks is one of my favorite forms of professional development. 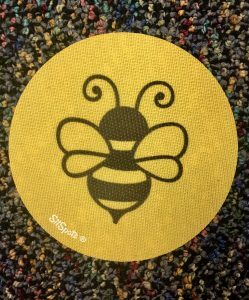 I love when others share simple things that can be applied quickly and easily to my teaching and improve learning for my students. 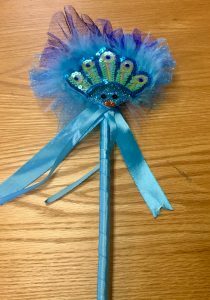 A Magic Wand – This can truly be magic! 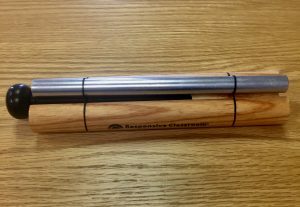 This wand is used to dismiss students from the rug to move to other activities. It prevents the mob mentality that happens when everyone goes at the same time. 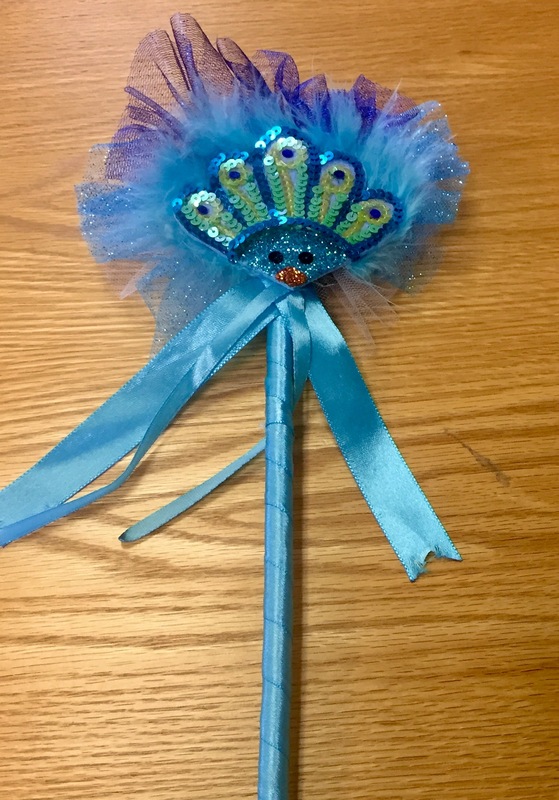 Plus, when you touch a three-year-old on the head with a magic wand they think the library is magical too! 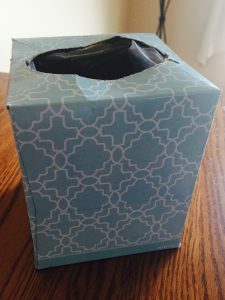 A Mystery Box – Yes, this was once an ordinary tissue box, but now holds questions, vocabulary words, objects, or letters. This box can be filled with topics that relate to what we are reading or learning about. Just reach inside and let the discussion begin! 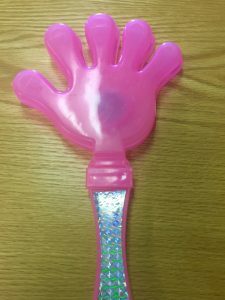 Give Me Five – This was a dollar store find! It works great for encouragement as well as grabbing the attention of the room. Sit Spots – These are not as cheap as the other tips in this list, but they are totally worth the price! If you have carpet, these securely hook to the floor. Since each spot has a Velcro backing, it can be easily removed and repositioned. 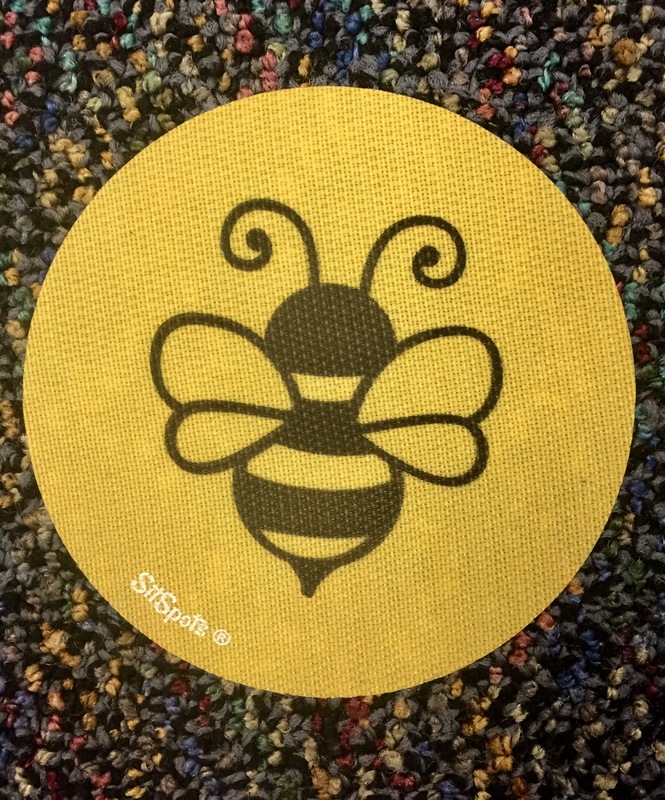 I use them mainly to help students line up, but have brought more to allow me to make a circle in the middle of the library and to determine the number of people who can work in certain groups. There are even teachers who use them for learning games. The possibilities are endless. Check out their website at: https://www.sitspots.com/. 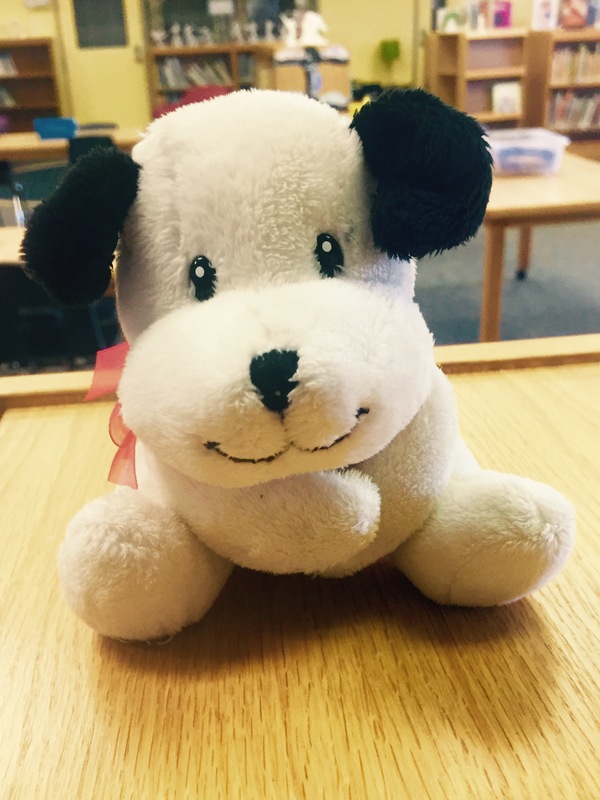 A Puppy (or other stuffed animal) – This little dog makes noise when you squeeze his tummy. It is a prefect little object to toss at students to answer a quick question. Only the child holding the dog is allowed to share and then they get to squeeze his belly when they have answered the question. 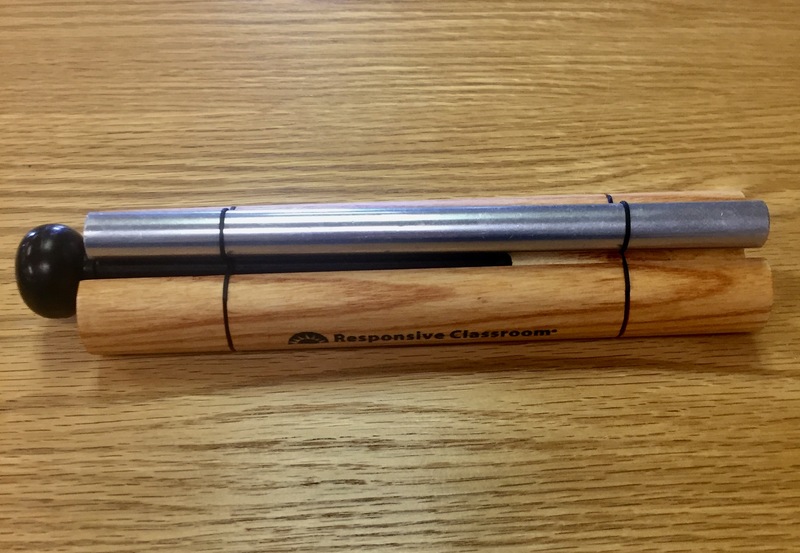 A Chime – Our school uses the Responsive Classroom Model, and this chime fits with that model. 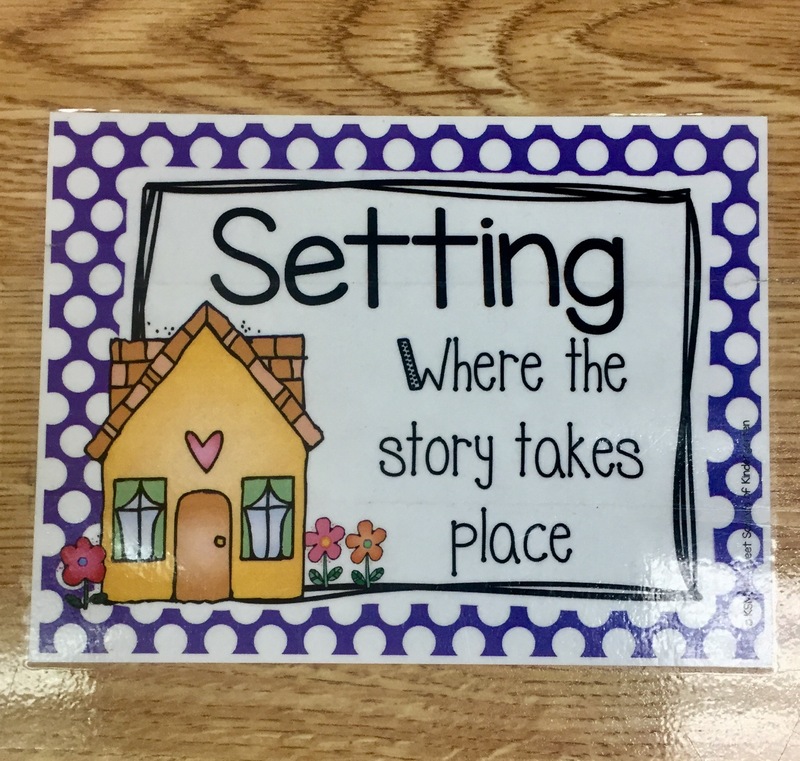 Each classroom in our school has this chime so students are familiar with how it sounds and the expectations for it regardless of the space they are in. Having a chime or bell allows me to get their attention quickly when needed. 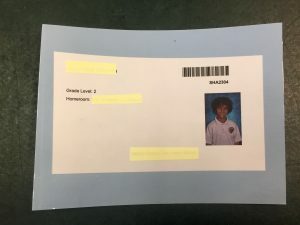 Library Cards – I had a very difficult time when I first started in the library keeping track of which students had checked out books and which were still looking. These cards were printed through Follett Destiny, which is how we access the catalog. They are placed on the counter when students start to check out. Once a student checks out their books the card is taken off the counter. This makes it so I can quickly see who needs more help. 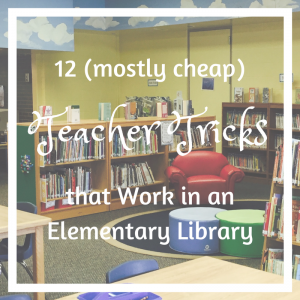 Resource Lists – Every year I have a teacher who would come and ask for how-to books during that unit in writing and another who would come ask for picture books that represent various traditions. For several years, I found myself either trying to remember what I had pulled the year before or researching the same book topics over and over again. Not a great use of my time until I realized I can make a list and keep it with my catalog. Problem solved!! Again, we use Follett Destiny to access the catalog. One of the options in Destiny is the ability to create Resource Lists. 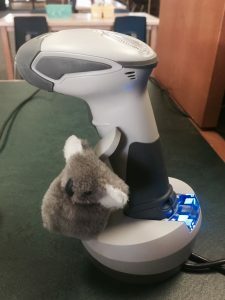 In these lists, you can place books from your catalog either by scanning a set of books or searching from the catalog and adding them to the list one at a time. You can make the lists public so others can see them or keep them private for you to have access to. 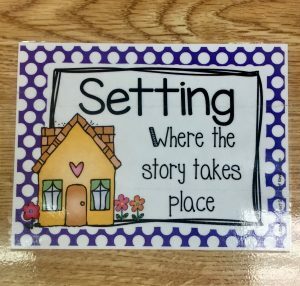 Table Labels – Labeling your tables is normal practice, but I like labeling them with a curriculum connection. This way when I say the name of the table or group, students are hearing key vocabulary that relates to the curriculum. I have used genres and nonfiction text features in the past. I found these for free from Teachers Pay Teachers. Wireless Scanner – This one is not cheap; however, it has changed my ability to check in and out books. I am able to check in books from across the room at the book drop or check out a book for a student who is not standing at my desk. Doing an inventory or weeding just got that much easier too! 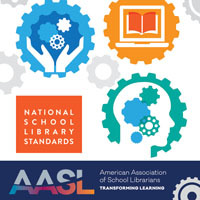 This version is available through Follett. 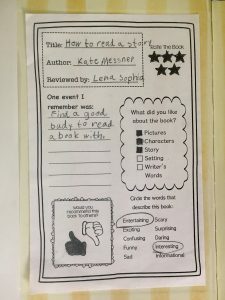 Book Reviews – Students like to get recommendations from each other. To allow them to share their opinion, we use these evaluation sheets. Students can take one, fill it out, and I will glue it into the book for others to read. I have found that second graders can be tough critics! What tips or tricks do you love? Please share! 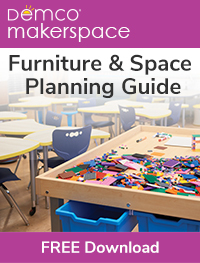 Loved these ideas – already use some. Where can I find that book review slip? I made it up. I would be happy to send it to you! Feel free to send me an email and I will send it your way. 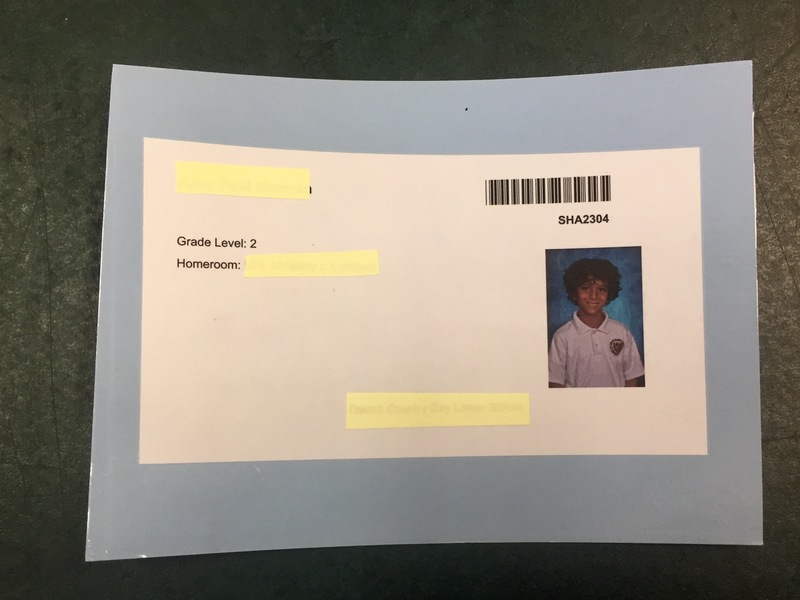 I took the follet library cards a step further…set up a log in that only functions as a check out station, and 4/5th grades can do a self checkout…like when librarian is doing storytime, or a quick lunch! Could I use your book review sheet? I love how simple and cute it is! Would you send me your book review sheet as well? It’s such a great idea! Would you sent me your book review sheet too? It’s perfect! Would love your book review sheet please! 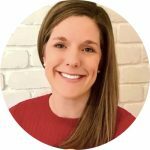 I am suddenly a librarian (someone got sick), and could use the help. Thanks. Love your sheet! Could you send me a copy, also. Thanks for sharing! I would love a copy of your review sheet. Thanks! I love all of these tips, thanks for sharing! I would love a copy of your review sheet as well! I’m jumping on board with everyone else, would you please send me a copy of your book review sheet? 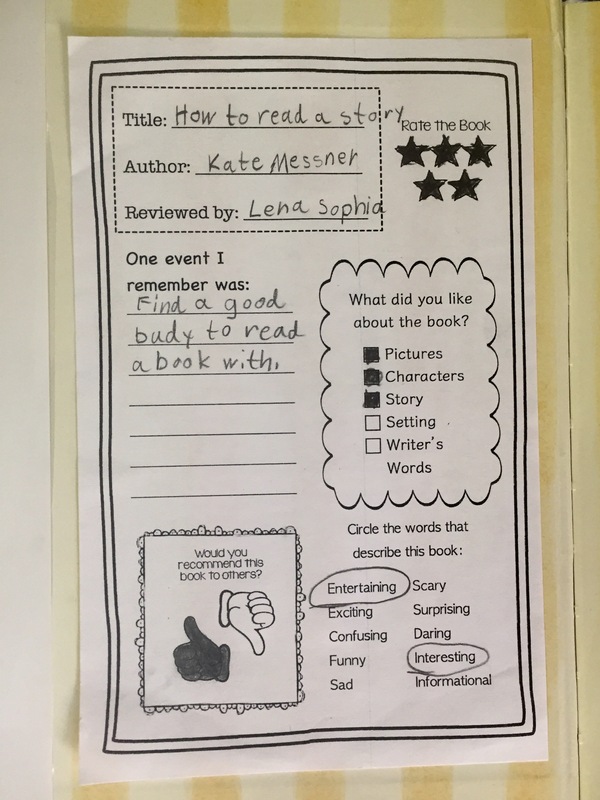 We’ve added a link to the book review in the blog post. 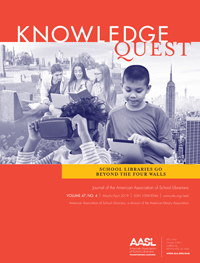 It’s available at http://knowledgequest.aasl.org/wp-content/uploads/2017/02/BookReview.pdf. Would love the book review sheet also!